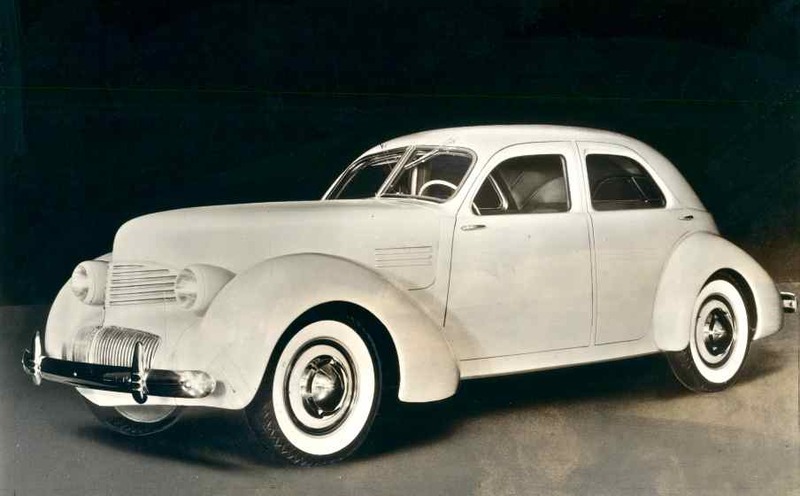 A once breath taking design by Cord was salvaged by Hupmobile in its last gasp effort to stay alive in 1939. Hupmobile bought the body dies left over from the Cord 810, changed the nose and called this their Skylark. With this March, 18 introduction photo was a statement that it would be first shown to the public at the New York and Chicago Auto Shows. At the very most, it appears that several hundred were made over the next year and a half. The writing unfortunately was on the wall and Hupmobile and went into bankruptcy in November of 1940 and eventually emerged as a subsidiary of White Consolidated. This entry was posted in Auto photos 1921 - 1942 and tagged Cord, Hupmobile. Graham did a similar thing with the Hollywood, and they lasted a year longer than Hupmobile, going out of business in 1941.